Specification and implementation of a new cloud based project management tool – to increase efficiency across the business. “In just 9 months bandv has transformed our brand and website look, function and performance. Lead generation and business operations have vastly improved, and the business has had a record year for turnover and profit on both the commercial side (large ground works projects, industrial units, new build homes, carpentry and brickwork packages) and the domestic client side (home extensions, conversions, carpentry, bricklaying). 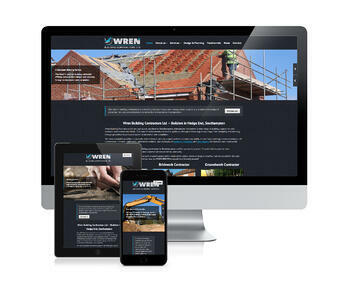 We are excited about continuing to grow Wren Building Contractors with the help of our marketing partner, bandv." Could your marketing do with a makeover? How does a FREE appraisal sound to you? Let's talk!